When President Obama delivered his State of the Union address, he was clear: He supported the Trans Pacific Partnership (TPP), and he wanted Congress to pass it. Similarly, during last year’s federal election, Canada’s former Conservative Prime Minister, Stephen Harper, was unstinting in his support for the TPP. And the New Democratic Party's Thomas Mulcair made it clear that, given what he knew of the deal, he was unlikely to support it. However, the Liberal Party of Canada, under leader Justin Trudeau, made the false claim during last fall’s election campaign that it knew too little about the TPP to pass judgment. The party was pro trade, but would need to look at the details. That was dishonest. Those who liked the deal could clearly explain why, and those who had concerns also had no difficulty finding clear reasons to reject it. 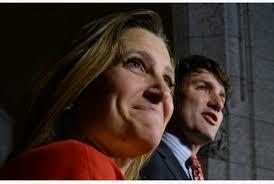 The Liberals, now in power under Prime Minister Trudeau II, and with a clear majority, are continuing to pander to the Canadian people, telling them that the government will sign off on the text of the accord next week, but that ratification is not a sure thing. This is a lie. The Liberals have a majority, and will pass the deal. The only thing that could stop ratification would be mass street demonstrations. The Liberals, being a purely political entity, and with heavily vested corporate interests, will not reject the TPP on its own failings. This is pure theater. And it will ramp up during the parliamentary debate, when the Liberals will let the NDP and the Conservatives take opposing sides, and then present themselves as the adults in the room – promoting the appearance of consultation, debate, and openness in order to reduce any political fallout when the inevitable ratification happens. Then, when the vote is tabled, the Liberal backbenchers will get whipped, and the TPP will sail through. Is anyone, other than the wealthy dairy farmer, against the TPP? It is good for ordinary Canadians and what remains of Canadian industry. Lots of people are against it, for lots of good reasons. Jim Balsillie believes it could cost Canada billions of dollars. Citizen/taxpayer liability is also very high. There are good things in it, but it is essentially a 'corporate rights' bill. Really? The only people against TPP are the wealthy dairy farmers who have enriched themselves at the expense of ordinary Canadians! The 'only' people? Perhaps check out what Jim Balsillie has to say about the TPP and the threat to intellectual property and Canada's high tech industry.